In the 1700s, the clients of the prestigious Hotel “All’Aquila d’oro” were Italian and European nobilities. It hosted very important people such as Wolfgang Goethe and the Emperors Joseph II of Austria and Ferdinand IV King of the Two Sicilies. Such Nobilities used to arrive with numerous carriages, horses and trunks, all necessary for exhausting trips across Europe. Nowadays, two marble plates, as proof of their stay, can still be seen at the entrance of the hotel. 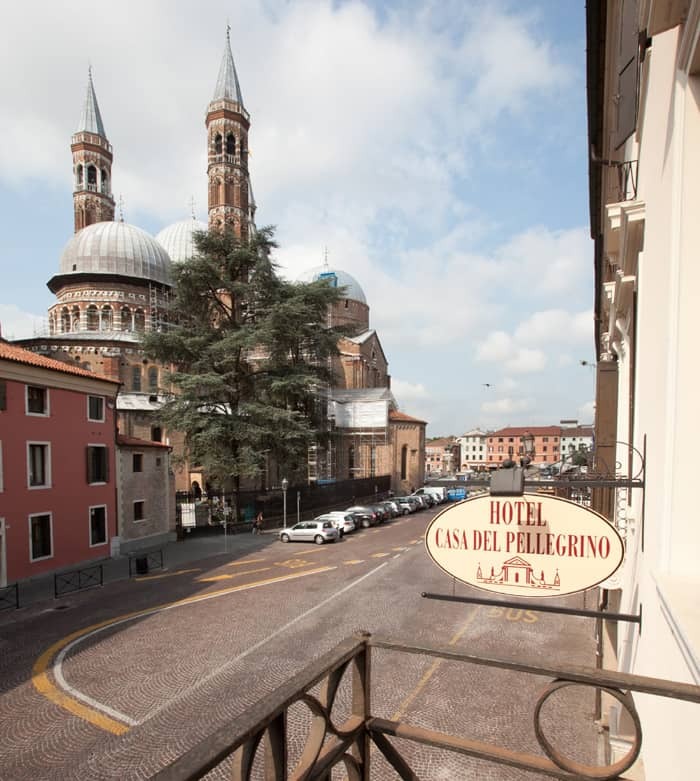 During the Holy Year 1950, the hotel got the present name of “Casa del Pellegrino”. Since then, it has been offering a simple but very warm and professional welcome, assuring in the meantime, a high standard of quality in its services.